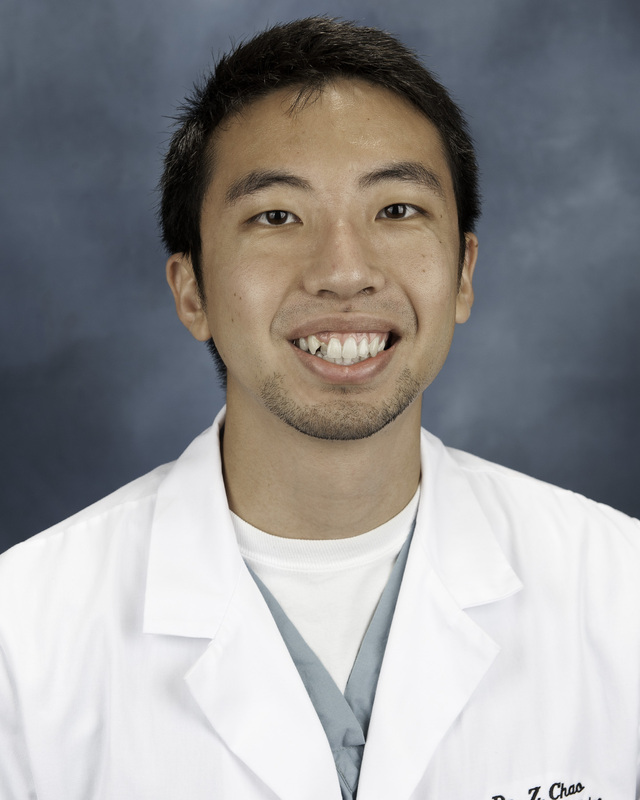 Dr. Chao is a member of the class of 2013 from the emergency medicine program at Palmetto Health Richland. He is currently a fellow in emergency ultrasound at Palmetto Health. In April of 2013, I had an opportunity to visit India as part of George Washington University’s International Emergency Medicine master’s training program in India as a teaching faculty to give lectures in endocrinology and HEENT. As I had already planned to go to China with my residency program and ultrasound fellowship directors, Drs. Cook and Hunt, respectively, already, it was an easy decision for me to combine the two trips and get a first hand view of the delivery of emergency medical services in the world’s two largest countries. A little bit about GW’s Masters in Emergency Medicine Program (link here): EM in India is a very new specialty. In fact, there are less than 20 Medical College of India (MCI) – approved EM residency positions. It has not yet accepted widespread acceptance as a recognized specialty in its own right. George Washington’s International Emergency Medicine program has set up a few training sites in India to provide a clinical training program in EM, conferring a Masters in EM upon graduation. The training program is essentially set up as a 3 year residency. The applicants come from a wide variety of backgrounds: there are many that are straight from medical school; many more have had experience as General Practitioners (which does not require residency training in India). The two cities that I was sent to were Calicut and Kolkata. Calicut (Kozhikode) is a relatively smaller city in the South Indian state of Kerala, a state well known for its greenery with a dubious distinction of having the highest rate of alcohol consumption in the country. The state has historically been a very international city, being the port of entry for much commerce in the past and the first place that Vasco da Gama landed, introducing Europe to Indian spices and hosting Chinese traders before that. To this day, there are Portuguese influences and Kerala is known throughout the country as a model of diversity and tolerance with Christians, Hindus and Muslims living peacefully side-by-side. There are a total of 7 multi-specialty hospitals in Kerala, including 2 government hospitals. The two hospitals in Kerala that I worked at were the Malibar Institute of Medical Sciences (MIMS) and Baby Memorial Hospital. The GW program was established in MIMS many years ago, and they’ve already graduated a few classes of residents, some of whom have stayed on as faculty. The department itself consisted of a 15-bed ED and a 2-bed trauma bay, and sees between 75-150 patients a day. The program at Baby Memorial is in its inaugural year, and only has a class of 7 interns right now. The faculty at BMH was also new, one of whom is a recent MIMS graduate and the program director is an orthopedist. Both of these hospitals have a full complement of subspecialty backup as well as other residency training programs. Kolkata (Calcutta) is in the state of West Bengal in Eastern India, not too far south of China. The hospital that I worked at here was Peerless Hospital. It is one of 15 multi-specialty hospitals with over 400 beds in Kolkata, and has an ED with 18 beds, 6 of which are monitored plus 2 additional isolation beds. This program has 15 PGY2 residents and 11 PGY1 residents, as well as 1 third year resident that transferred in from another program. The city is known for its congestion and has a great deal of poverty, even by Indian standards (it is where Nobel prize winner Mother Teresa worked). It is a city that is rich in history, have previously been Great Britain’s seat of power during their colonial era rule. The capitol was subsequently moved to New Delhi after protests and clashes became too much for the British to handle. Today in Kolkata, one can find the legacies of Britain’s previous occupation in the form of many beautiful historical sites. 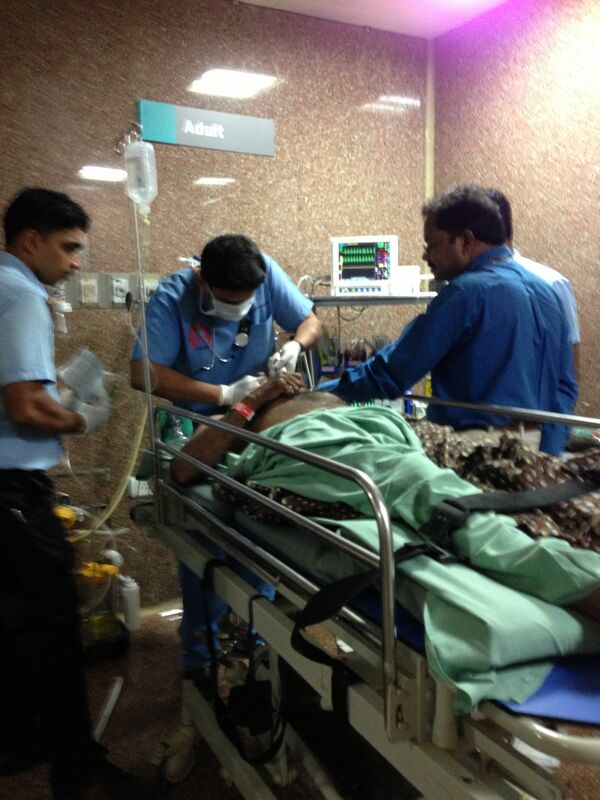 Though emergency medicine as a specialty is new to India, the residents that I saw were proficient. They came from a variety of backgrounds and most had previous clinical experience, either working in Casualty (what emergency rooms used to be before becoming departments, essentially a small triage area attached to a hospital) or other specialties altogether. One thing that I noted immediately was that residents had a great deal of autonomy; much more than we do in the United States. Part of this, like I said, could be due to the simple fact that many have had experience practicing clinical medicine. Another could be the fact that India is a less litigious environment for practicing physicians. Possibly because of this, I noted that there was also a more judicious use of healthcare resources, with none of defensive medical practices that characterize medicine in the US. Allopathic medical education in India is different than that in the US. It seems to be modeled on the British system. Graduates of medical school are given an MBBS degree upon completion, after which they are free to practice as General Practitioners, or GPs. Additional post-graduate training can be pursued in different specialties, such as cardiology or neurosurgery, which gives them an MD certification. There are also many medical students who pursue their MBBS education outside of India. I spoke to a few who went to Russia. Their lessons there were done in Russian. There are also many who go to China. There, lessons are in English, but clinical rotations inevitably require at least a basic grasp of Chinese. This blew my mind, as medical school for me what hard enough. These guys had to do it in a completely different language. I had a difficult time communicating to some patients when I rotated in a busy Chinese ED last year. And I’m a doctor that speaks fluent Mandarin Chinese. How these medical students do it, I don’t know (one person told me that they’re encouraged to get a local girlfriend to work on their language skills-maybe that’s the secret to learning a new language). As far as resident education, they do have didactics. Each month, there is a topic and residents are assigned lectures to present. In addition, GW sends a faculty member each month to provide lectures, do bedside teaching and oral boards. Part of my role there during my week at each location was to cover a series of lectures on endocrinology and HEENT. Bedside education was also present, with many of the residents teaching each other as well as education by consultants who come down for admissions. Residents also rotate through other departments much as we do in the United States, and residents from other specialties also rotate through the ED. The selection process for these applicants is also very different than the Match system in America. I was invited to sit in on MIMS’s interviews on their applicant interview day. First, the nearly 50 applicants we saw that day took a test. This, along with a review of their previous training and scores provide them with an objective score. Then they interviewed with a panel, each of whom filled out a scoring sheet, giving them a subjective score. A tabulation of these results gave the top ten applicants to whom they offered a spot. It was all done in one day. Lest you think that these young physicians only face language difficulties if they travel abroad for their MBBS, let me tell you that India has over 2,000 languages (??? ?double check???) and 22 nationally recognized languages. A common question that was posed to the applicants was what languages they spoke. They usually spoke at least three: English, Hindi and another local language. If they did not speak Malayalam, the language of Kerala, the follow-up question would be how they expected to communicate with the patients. The usual response was that they would commit themselves to learning the new language. This was not as unreasonable as it sounds, as many of the residents I spoke to were not from Kerala and did indeed have to learn Malayalam, some doing in as few as a few weeks. The hospitals that I worked at were all very modern and their facilities and specialty backup is similar to what I would expect in the United States. 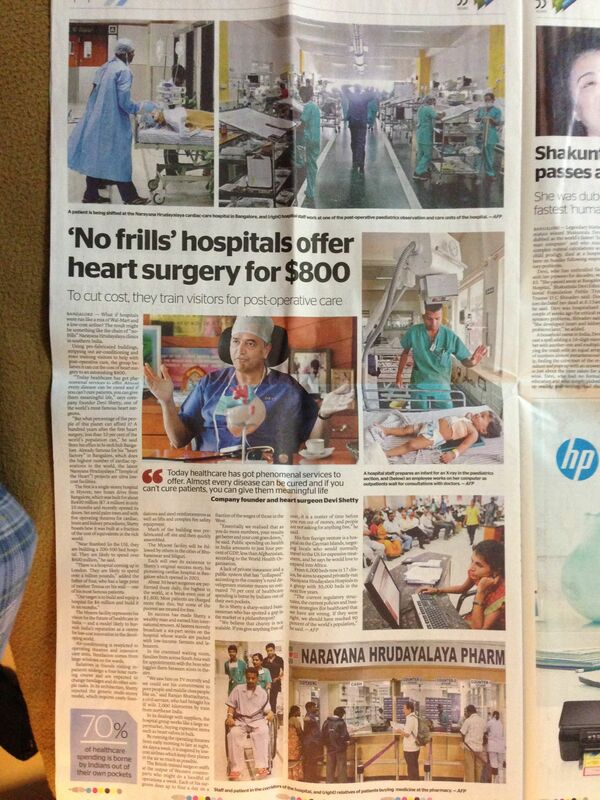 I learned that this was indeed that case in many of the private hospitals in India. They tended to have better facilities than the government hospitals, and easier and quicker availability of resources such as bloodwork, imaging studies and specialists. These facilities were within the financial means of many middle and most upper class Indians. However, given the number of poor people in India, there is a significantly large segment of the population that cannot afford this level of care. Their recourse, therefore, is to go to a government hospital. India provides national healthcare for its citizens, so everybody is able to access the government hospital, which is significantly less expensive. The care in the government hospital is of a significantly lower quality than in the private hospitals, in part due to the significant numbers of patients that crowd through their doors (I remember when I was in Kashmir a few years ago, the maternal hospital residents told me of women sharing beds and delivering on the floors). Family expectations in India also seem to be significantly more tempered by reality; if a terminally ill patient needs intubation or an aggressive (and expensive) ICU course, the family would pause to consider the financial consequences pursuing such a course may choose to go to the government hospital or proceed with a less aggressive approach, especially if the prognosis for meaningful recovery is poor. Because of the rushed nature of my trip to India, I unfortunately did not have too much time to do sightseeing or additional travels. 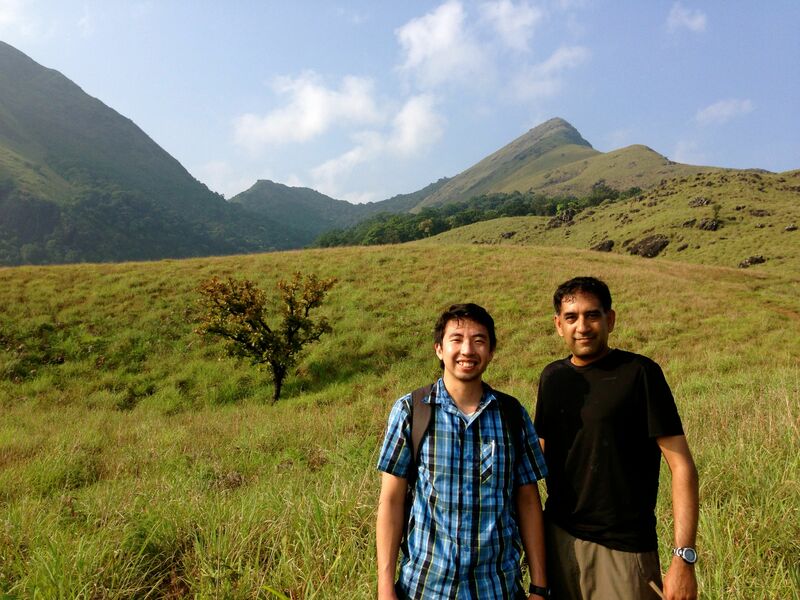 While in Kerala, I did have the chance to visit the Wayanad Sanctuary, which was a beautiful forest reserve containing Mount Chembra, the highest peak in the state of Kerala. 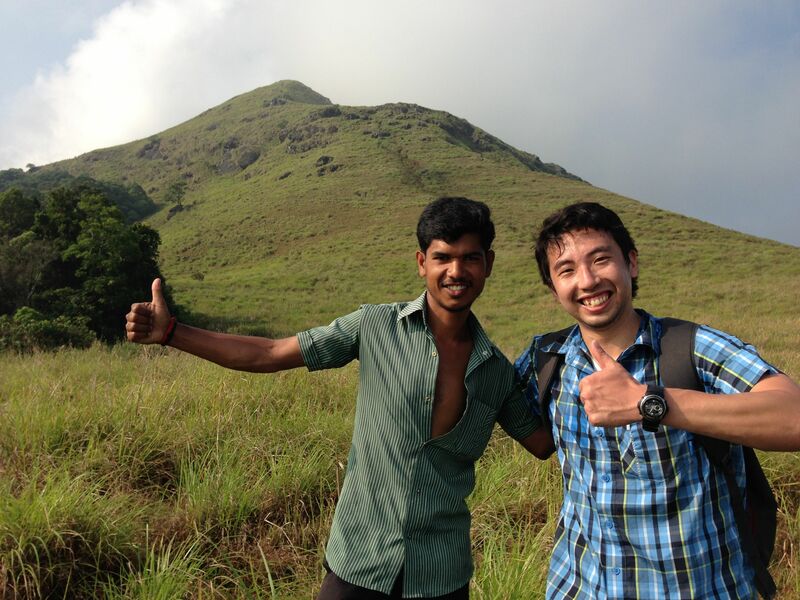 I mentioned that Kerala was a very green state; - Wayanad was the epitome of natural beauty. Majestic peaks soared over pristine valleys and verdant fields of fruits, coconut trees and tea plantations as far as the eye could see. Whereas Calicut was very rustic and green, Kolkata was about as urban as it got. Walking around in Kolkata, one is able to truly appreciate the density of the country and understand why India is on track to become the most populous country in the world. Poverty was visible everywhere; even Park Street, the most posh area that I visited with fancy hotels, restaurants and a large number of foreigners, was just a few blocks away from alleyways where many people eke out a living selling small knickknacks and bath in the streets beside communal water pumps. Near the hospital where I worked and lived, I passed through slums, where people lived in shacks made of corrugated sheet metal supported by tree braches. Though I was unable to communicate with the majority of these people, I did get a sense that despite the abject poverty in which these people lived, the majority of Indians seemed to be content. I would hesitate to say that they were all happy, as I think that they all recognize that poverty and wealth distribution is a problem in India, but nobody’s sitting around feeling sorry for themselves and depressed because they’re poor. I would say that what I saw showed a great deal of resilience; the folks living in slums took care of themselves, washing their clothes, brushing their teeth and bathing in the nearby ponds. The worked very hard, exhibiting feats of manual labor that most of us from the West would have to see to believe (I personally saw many skinny old men, no more than 120 lbs, riding a converted bicycle with loads of water containers along vast stretches of bumpy, unpaved dirt roads). Women would walk out of these slums with beautiful and clean saris to tackle the day. Kids would play cricket in a nearby open field with other kids from the slums. From my observations and discussions with the physicians there, I did not get a sense that there was a great deal of mental illness like depression and anxiety, that we see quite a lot of in America (though when I worked with a psychiatrist in Kashmir a few years ago, he mentioned that he saw a significant amount of that, which was related to PTSD – post-traumatic stress disorder; understandable, given that folks their live in what is essentially a warzone). I don’t know if it’s just a fatalistic outlook on life, the role of religion and spirituality or just a national sense of acceptance that things are the way they. Or maybe they’re just too busy trying to get by to worry about it.